35 mm Camera Lot Nikon N8008s - Minolta Maxim 7000i 2 Lens !!!! 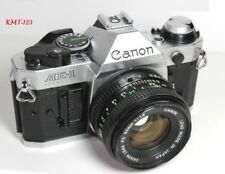 New ListingCanon AE-1 Program 35mm Film Manual Camera w/ 50mm F1.8 Lens Great Condition! New ListingOlympus Infinity Mini AF auto focus 3.5 Prime Mju 35mm Film Camera TESTED Rare! Trending at $32.04Trending price is based on prices over last 90 days. This page was last updated: 25-Apr 12:04. Number of bids and bid amounts may be slightly out of date. See each listing for international shipping options and costs.